Over the years, Illicit trade has undeniably become one of the greatest risks globally. It has played havoc with the social and economic well-being of nations across the world. Illicit trade undermines investments, creates unequal playing field for the legitimate businesses and for some time now provides the fuel that energizes the terror machine. Many prominent terrorist organisations like the Hezbollah, Lashkar-e-Taiba, Al-Qaida, ISIS, Irish Republican Army rely on illicit trade for financing their operations. It is estimated that the total economic and social costs globally due to counterfeiting and piracy world-wide stood between USD 737 to USD 898 billion in 2013 and this is expected to go up to USD 1.54 to USD 1.87 trillion by 2022, suggesting an increase of 108 per cent. In-addition the total employment losses globally due to counterfeit and piracy stood at 2 to 2.6 million jobs in 2013 and is expected to rise to 4.2 to 5.4 million jobs in 2022, suggesting an approximate increase of 110 per cent. Despite several efforts undertaken to curb illicit trade, its market continues to thrive across all industry segments. Today, India has the potential to become a global manufacturing hub. However, presence of illegal trade practices and the absence of an adequate enforcement mechanism, can act as a dampener in achieving this goal. A proactive strategy is the need of the hour to fight this serious menace to public health and safety and to the national exchequer. 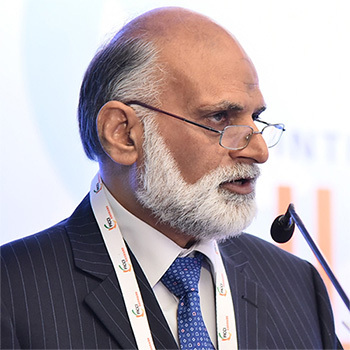 FICCI has been focusing on the problem of growing illicit trade and has a dedicated forum called FICCI CASCADE – Committee Against Smuggling and Counterfeiting Activities Destroying the Economy for this cause. FICCI CASCADE is working closely with the industry, government, enforcement agencies and consumers to create awareness on how illicit trade has become a formidable threat. We have been organizing awareness generation seminars, capacity building programmes and youth-focused events with stakeholders from diverse fields. FICCI CASCADE also organizes sensitization programmes for police and customs officials, border officers and the judiciary so that they have a better understanding of the enormity of the problem and can take requisite action against these economic offenders. FICCI CASCADE engages with various ministries at the national and state level. CASCADE works closely with the Ministry of Consumer Affairs in their mandate to protect consumer interests against counterfeit and spurious products. Its consumer awareness campaign Jago-Grahak-Jago has been a potent tool in the crusade against illicit trade. Let us join hands in defeating the scourge of illicit trade. It is my firm conviction that concerted efforts invariably go a long way in achieving the desired results.